The US has rejected an invitation to join Russia-led talks on Afghanistan because they are unlikely to help bring peace, officials said. The rejection arrives as the Trump administration prepares to appoint diplomatic veteran Zalmay Khalilzad as a new special envoy for the war-battered nation. Russia said that the Taliban will be joining the September 4 talks in Moscow, along with representatives of several neighbouring countries. It will be one of the insurgent group’s biggest diplomatic forays since the 2001 US-led invasion of Afghanistan. The US state department official said that as a matter of principle, America supports Afghan-led efforts to advance a peace settlement. The official added that, based on previous Russia-led meetings on Afghanistan, the Moscow talks are “unlikely to yield any progress toward that end”. That decision comes as the Taliban escalates attacks across Afghanistan. It has refused direct talks with Kabul, even as it seeks to raises its diplomatic profile in the region and calls for talks with the US which it views as the real power behind the Afghan government. The insurgent group has yet to respond to President Ashraf Ghani’s offer earlier this week of a conditional ceasefire for the duration of the Eid al-Adha religious holiday which began on Tuesday. US secretary of state Mike Pompeo intends to appoint a former US ambassador to Afghanistan, Zalmay Khalilzad, to a special envoy post that would deal with the Afghan-Taliban peace process and Afghanistan’s integration into the administration’s Indo-Pacific strategy, officials said. 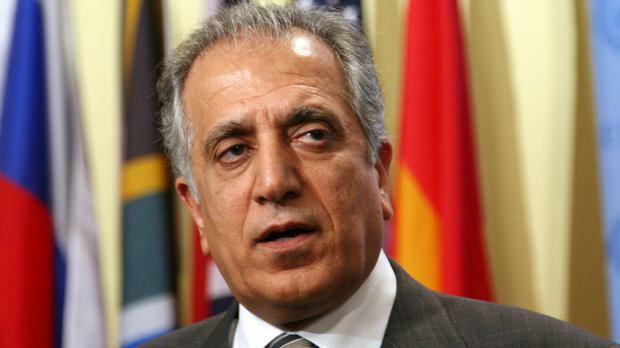 A native of Afghanistan who was educated at the American University in Beirut and the University of Chicago, Mr Khalilzad is a diplomatic veteran in Republican foreign policy circles and has also served as US ambassador to Iraq and the United Nations. He was considered for secretary of state by the Trump transition team, notably after introducing then-candidate Donald Trump at his first major foreign policy speech during the campaign. Despite escalating violence in Afghanistan, the top U.S. commander there said Wednesday that the US-led coalition sees hope in Taliban statements in recent months indicating interest in a negotiations to end the 17-year war, and Afghan public and religious clerics’ desire for peace.